Thank you so much for your comments, Hels. Unfortunately, I can't find any photos of them. 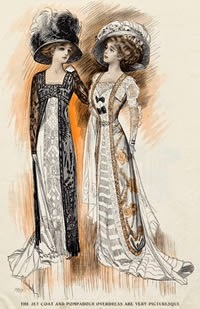 However, there are some illustrations of dresses at Trove, and there are lots of advertisements as well. There are more photos of Finney's.